Writers are created already possessing their deadliest weapons– their mind and their tongue. Perhaps the ability to hold a pen as well. People pursue writing because they have no other choice but to share stories and create new ideas. Even something as influential as the Holy Bible was written first before people were able to even begin to make sense of it. 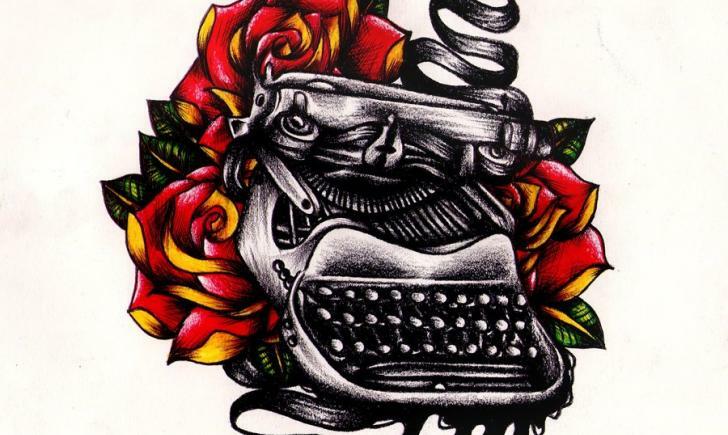 Writers exist in all mediums and varieties– from online content to poetry, to romance novels, and beyond. Here are some tattoos to bring light to facets of writing and other weapons that they may not have been born with. 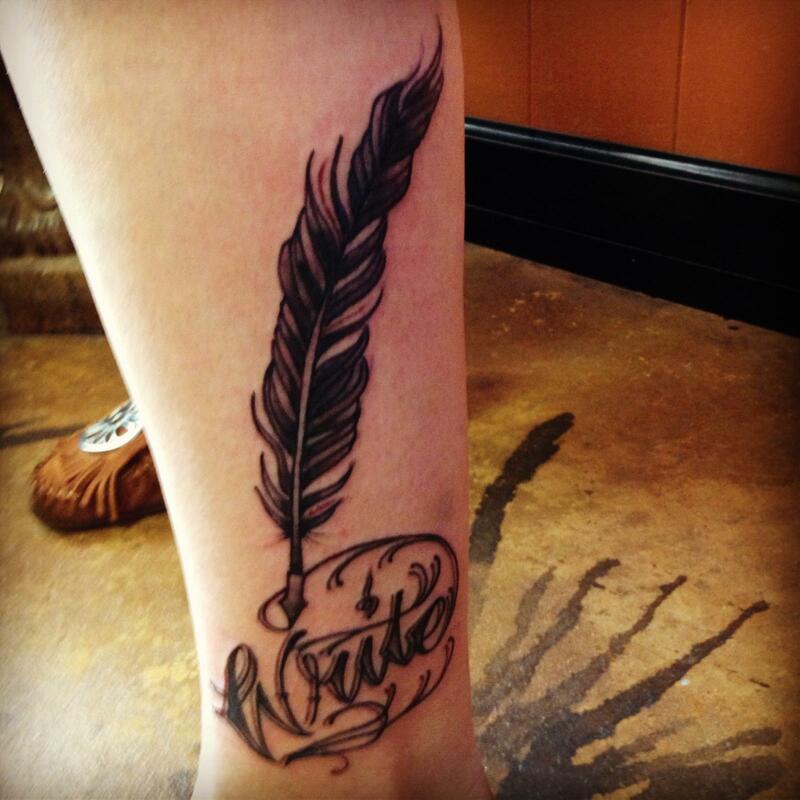 This quill is a pretty straightforward tattoo, spelling out the word “Write” in the ink. Oddly, this acts as a bit of a meta tattoo as the actual ink was used! No birds were harmed in the making of this piece. 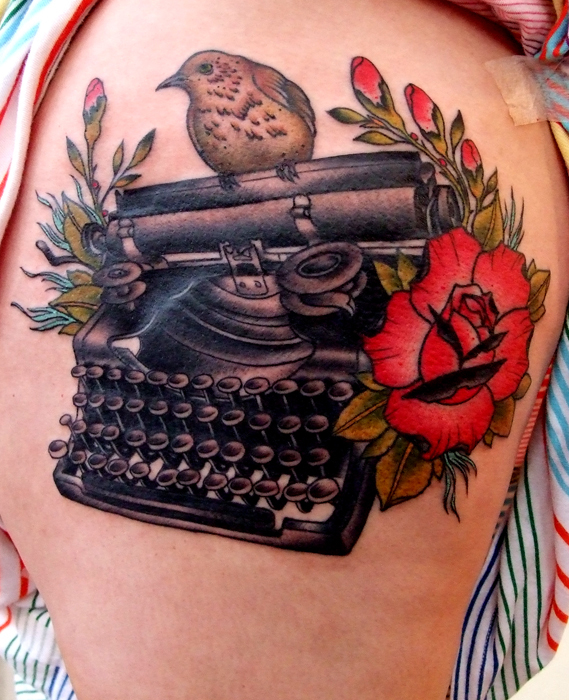 This gorgeous design illustrates a classic typewriter adorned with flowers and what appears to be a mockingbird perched upon the machine. It looks as though it came straight from a book cover and embodies the whimsical nature of storytelling. This stunning rose tattoo is comprised of written pages and displays the complexity of the arrangement of its petals as well as the linear fashion in which a story is written and read. 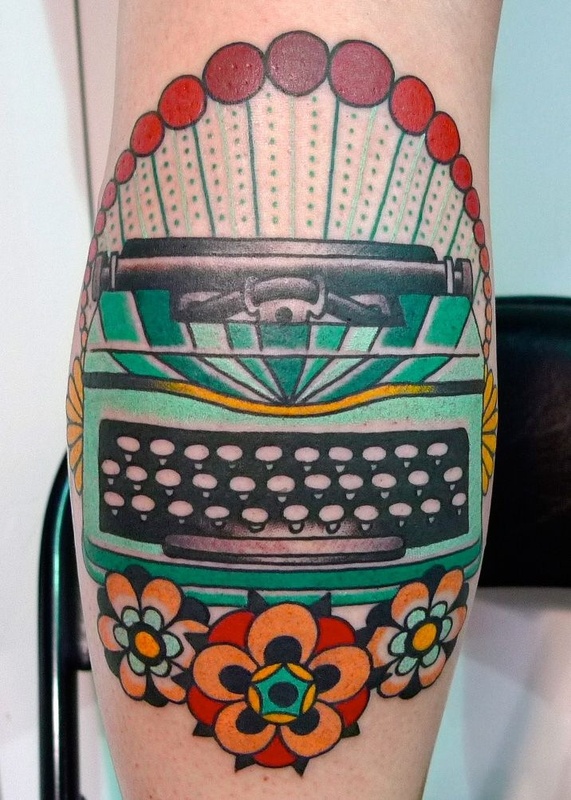 This vivid American traditional style typewriter demonstrates symmetry and fabulous color work with clean lines and unique tones. There is immense detail in the dots and careful shading in the machine. 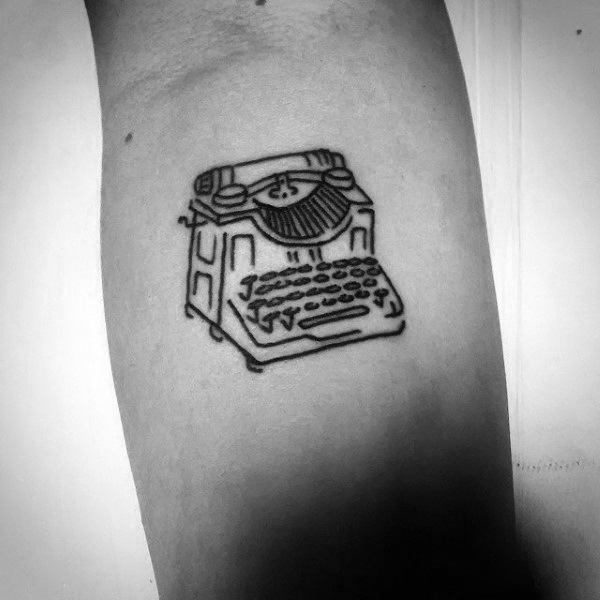 This typewriter is an unconventional and adorable simple black line version of a writer’s best friend and will leave any enthusiast envious of the piece. 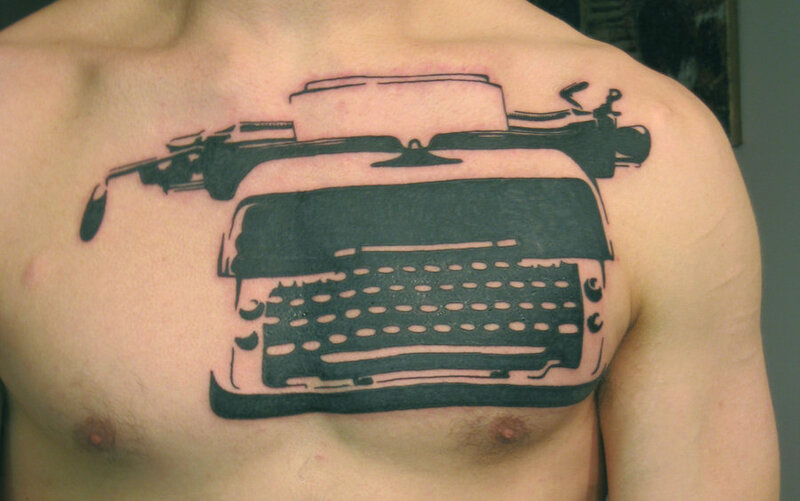 Lastly, this large chest piece features a stencil-like design of a retro typewriter. It is placed right over the appreciator’s heart, which gives it double-meaning– the first being that writing is their true love, and the second implying that anyone can insert their words into his heart.